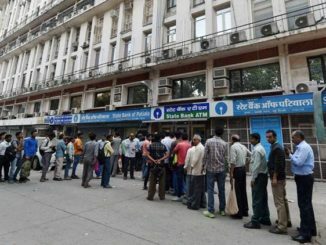 New Delhi, April 22, 2018 (TMC Desk) Money sans ATMs and Banks were in news for last few days in different states of India. However, in Digital India of Modi government, it is being sold online at a much higher price than its intrinsic value. 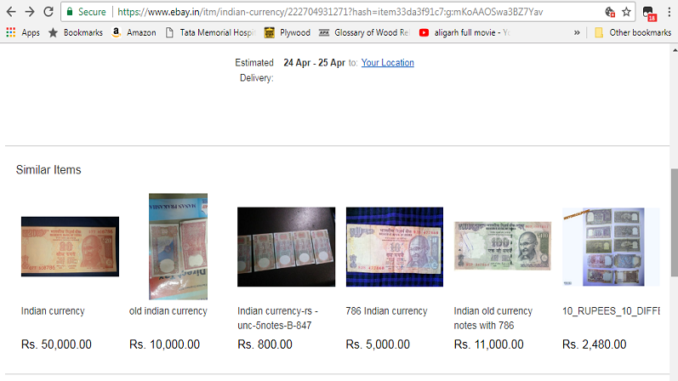 An e-commerce site ebay.in is fearlessly selling currency notes of different denominations with higher price. The site is selling notes carrying number ending with 786 at a price 500 times higher than its value. 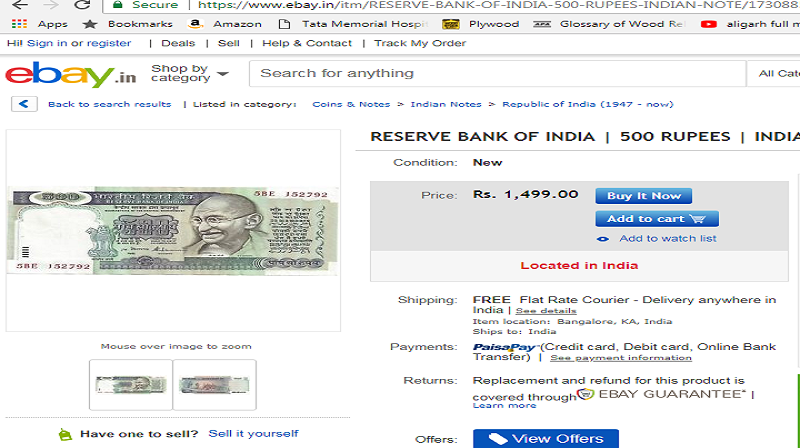 One 100 rupees note is being sold at Rs. 50,000. The site claims that it carries a number that ends with 786. Surprisingly, a 20 rupees note costs Rs.50,000, a 2 rupees note costs Rs. 10,000.00 and so on. 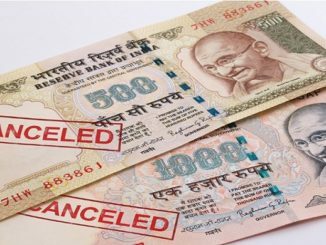 Even banned notes are on sale. You can purchase Rs. 500 at a price of 1499 and can open doors to jail. 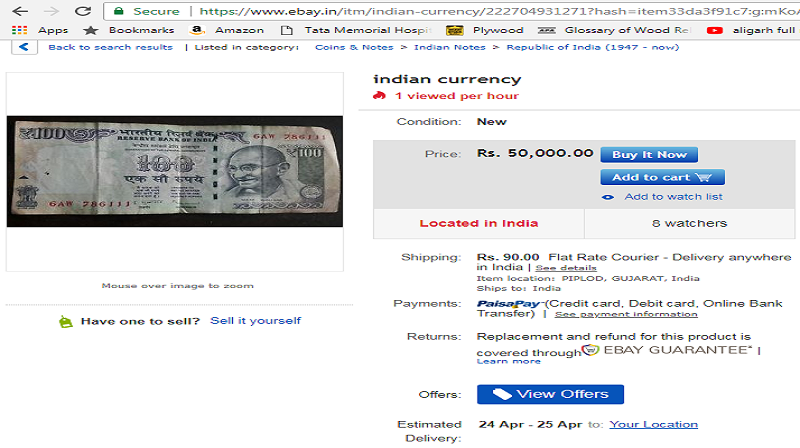 How Ilegal it is to sell currency notes in black market? 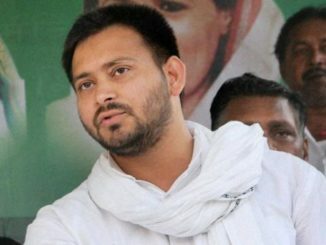 Patna based retired banker and chairman of Al Khair Cooperative Credit Society Limited Shamim Rizvi says it a completely illegal business. Reserve Bank of India promises the bearer a sum of the said denomination neither more nor less. “The business being done by the site is completely illegal and the competent authorities should take cognizance of the matter and take legal action.” Rizvi said. When tried to find out online, a few links suggest that this business has been running for months. One question whether money can be sold or bought was posted on the website Quora in 2015. The site offers a platform for questions and answers. Kunal Kumar, a law student had answered that sale of goods in India is governed by Indian Sale of Goods Act 1930 and in this act money is not a category of goods. You can buy currency notes with your debit card, credit card or online banking. This is not available cash on delivery. Guest customer option is also restricted. You have to be a registered user or need to sign up.